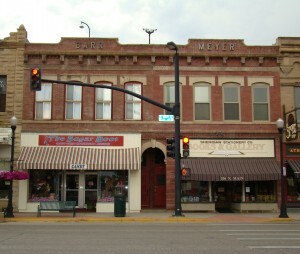 The Meyer-Barr Block was erected in 1901 and in 1908 housed a restaurant here with furnished rooms above. Between 1910 and 1917, the Lobby Saloon was downstairs and the Eagles Hall above. 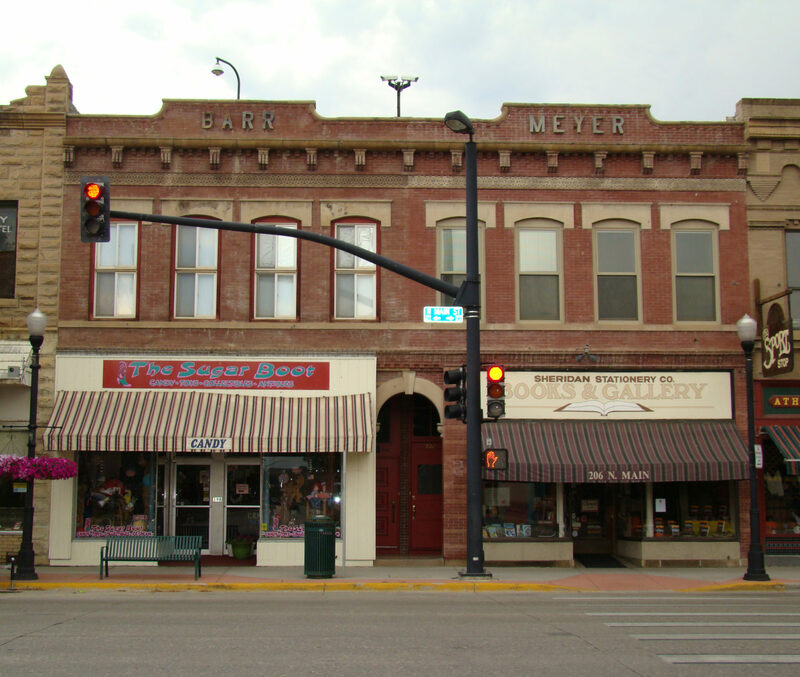 1923 saw the Sheridan Music Co. share the building with the Knights of Columbus, and from 1927 until 1954 the Heimann Commercial College was preparing young people for the work place. Sheridan Stationery Books and Gallery opened at this location in 1957.